Welcome to Hitched Films. The home of beautiful wedding videography in Ireland. Watch as our documentary wedding video style captures wedding days with personality! Hello, nice to meet you! We're Sue & Eoin. We've been together for over 9 years, although it doesn't feel that long! One likes old movies, Audrey Hepburn, cookies, extra warm duvets, and lists. Loves lists. The other likes gadgets, action movies, hikes and cool duvets. And both love weddings and meeting new couples. We started Hitched Films in July 2015 and since then we've been extremely lucky to work with lots of awesome couples and fabulous venues. We put everything we have into every wedding video we create, and because of this, our wedding videos are regarded as some of the best in the industry. Nothing makes us more excited than sending a finished wedding film to our couples and nothing makes us more proud than when those films are shared and we get to see the heartfelt reactions from family and friends. It's also amazing knowing that what we create will be passed down from family generation to generation. Seriously, being a wedding videographer is pretty cool. We love it. Great wedding videos should look seamless, flowing and effortless but in truth a lot of planning is needed on the part of professional wedding videographers. To get the most from your cinematic wedding video we plan out the day in detail, making sure you know in advance the kind of shots we will need your help with. About 1 month before your date we set up a video call with you to go through these and answer any questions you might have. The Big Day! As you’ll see when you check our wedding videographer packages we want to create the best cinematic wedding video for you, and we can only do this with a full days shooting, so we shoot from bridal preparations right up to the the first dance (and then a bit), recording everything in between. We are also very discreet, utilising the latest advancements in camera technology and size to ensure a small footprint on your day but an emotional experience after. You call it editing. We call it storytelling. Editing at Hitched Films is a lot more than just fitting clips together in a timeline. A film needs to tell a story, your story, and for every couple that story is different. As we are in control and directly involved in the planning and shooting of your wedding, we are able to produce exceptional results during the editing phase. Our base edit package includes both a Highlight and Documentary Edit. Your wedding video needs to be timeless. Emotional each time you watch it and exciting each time you share it with someone new, whether in 1 or 20 years time. Your wedding video will grow more important to you with each passing year. So capturing and editing your wedding day right is a big responsibility, that’s why we will go above and beyond to pour all our love and skills into your cinematic wedding video. Pretty much anywhere! Well... within reason, but we're willing to try! We shoot nationwide all over Ireland. 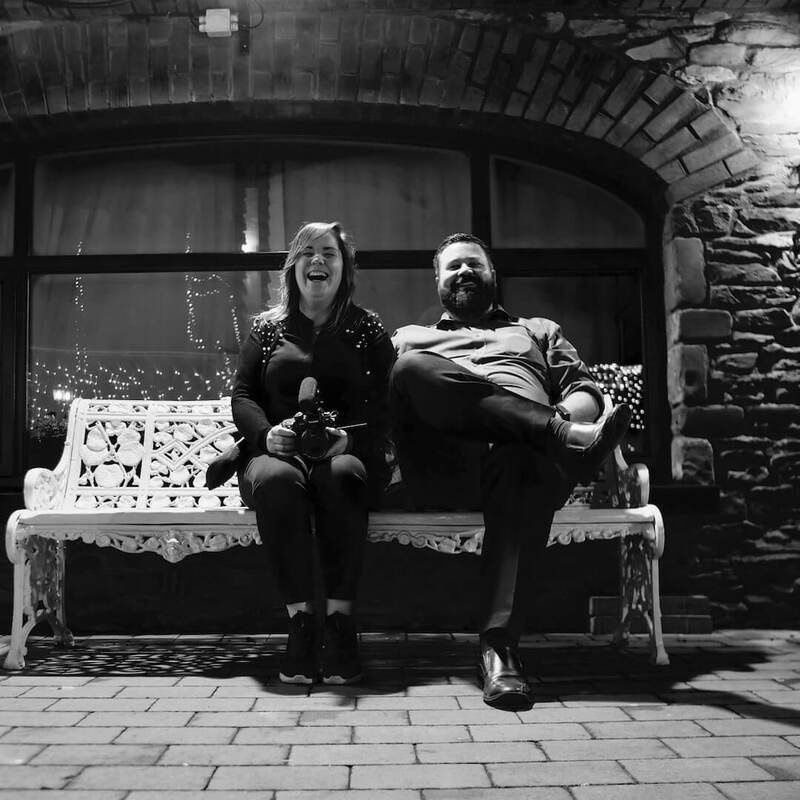 We've shot wedding videos in Cork, Kerry, Clare, Galway, Limerick, Northern Ireland, Meath, Kildare, Mayo, Wexford, Waterford, Kilkenny & Donegal.... the list goes on. So we travel all over. Variety is the spice of a Wedding Videographers life, and we love shooting in new and interesting places. We’d love if you could tell us about yourself and your partner. Who are you? When are you getting married? What kind of wedding are you hoping to have? What are you hoping to remember after the big day? Feel free to keep it short if you’re busy, but we’d still love to hear from you - we read and reply to every message that gets sent our way. Oh! We're on social too! Check out our wedding videographer FAQ.